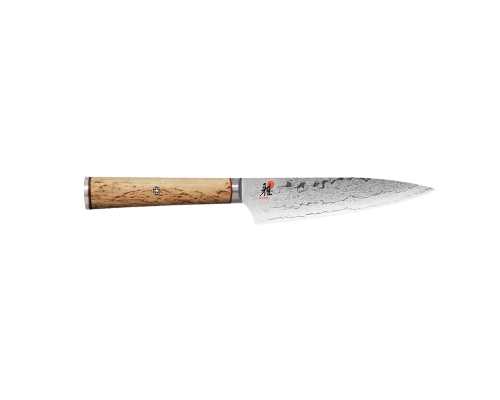 The Miyabi Birchwood Knives feature 50 layers clad on each side of an SG2 powdered steel core, creating a beautiful Damascus pattern. Each blade is hand-honed using a traditional three-step honbazuke process. 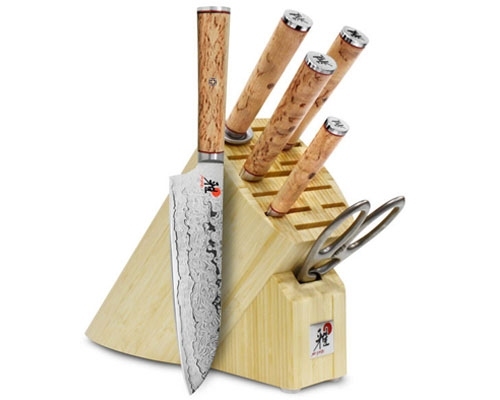 The blades on each Miyabi Birchwood knife are Cryodur ice-hardened for enhanced hardness, flexibility and are corrosion resistant. It’s sharpened twice on whetstones with custom grits, followed by mirror polishing on a leather wheel. The traditional D shaped handle is made of birch burl wood, and features a mosaic pin accent with an engraved end cap. Miyabi Birchwood knives are meant to be hand-washed. Made in Japan, with a lifetime warranty. The Miyabi Birchwood 3.5 in. 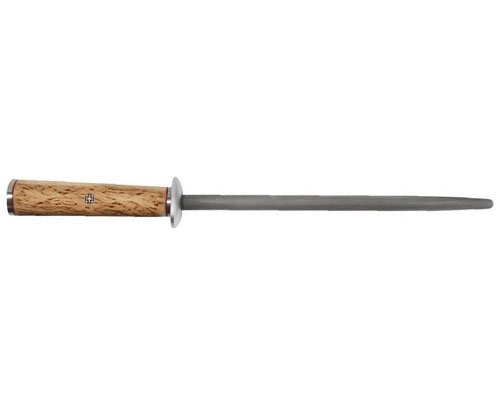 (90mm) Paring Knife is used for small kitchen tasks that aren't performed on a cutting board. Perfect for peeling vegetables and fruits. Hand wash only. Made in Japan. 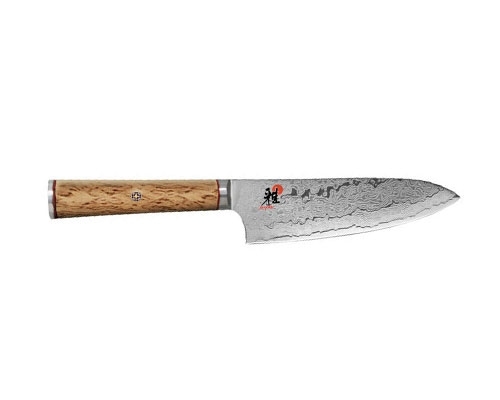 The Miyabi Birchwood 5 in. (130mm) Paring Knife is light and a little larger than the average paring knife. Use this versatile knife for peeling, cutting or garnishing fruits and vegetables. Miyabi Birchwood 5.5 in. Prep Knife is an alternative to a normal utility knife or petty knife. This has a wider blade at the heel, making it easier to use on the cutting board with more knuckle clearance. The Miyabi Birchwood 6 in. utility knife is used for preparing fruits and vegetables, or filleting small fish. Hand wash only. Made in Japan. The Miyabi Birchwood 6 in. 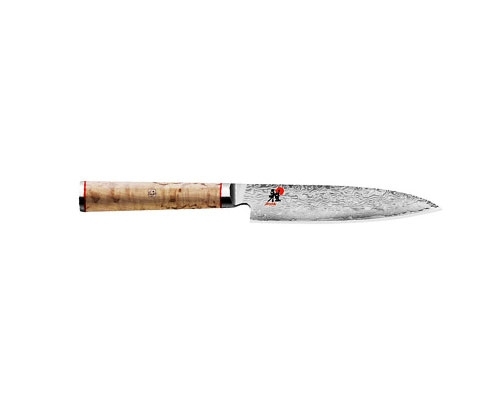 (160mm) Chef Knife is the most essential of all knives used in the kitchen. This knife can be used for slicing, mincing, dicing, and chopping. Hand wash only. Made in Japan. 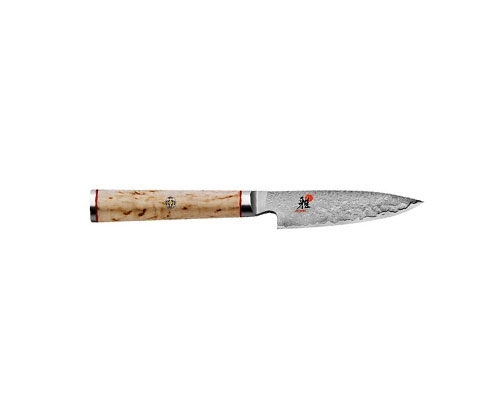 The Miyabi Birchwood 8 in. 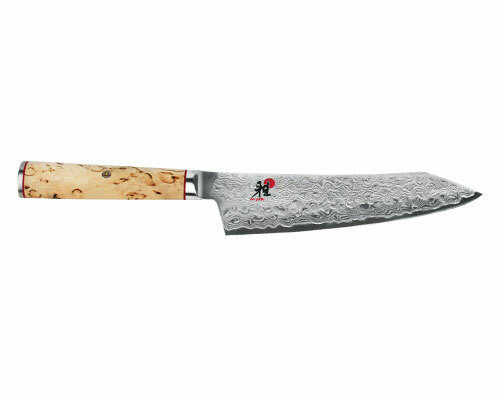 (200mm) Chef Knife is the most essential of all knives used in the kitchen. This knife can be used for slicing, mincing, dicing, and chopping. Hand wash only. Made in Japan. The Miyabi Birchwood 9 in. 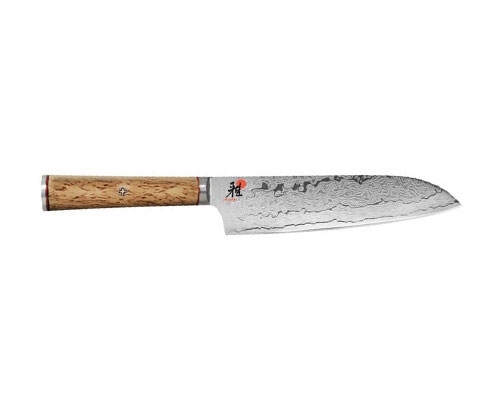 (240mm) Chef Knife is the most essential of all knives used in the kitchen. 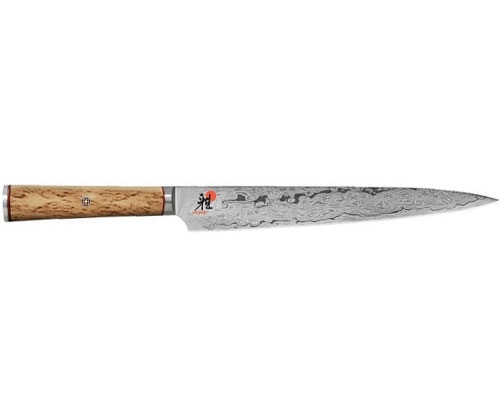 This knife can be used for slicing, mincing, dicing, and chopping. Hand wash only. Made in Japan. The Miyabi Birchwood 7 in. 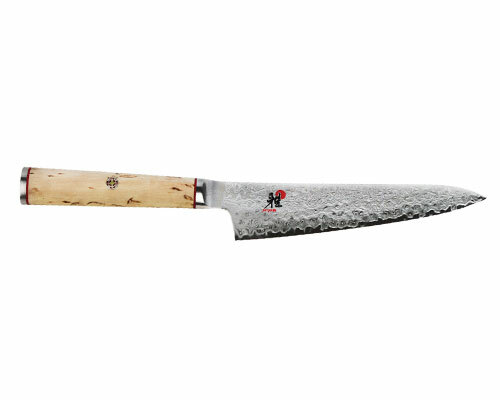 (180mm) Santoku is a classic Japanese knife for chopping, mincing and slicing vegetables. 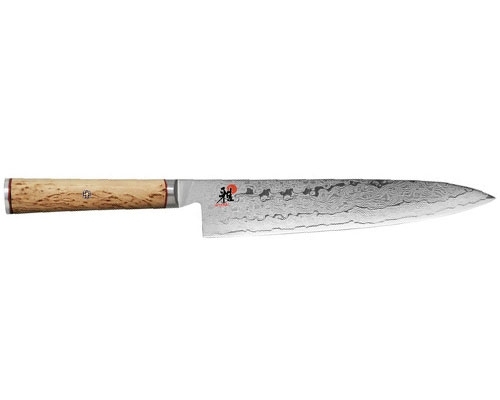 The special feature of the Santoku is its thin blade with wedge shaped edge. Extremely versatile, can even be used for decorating purposes. Hand wash only. Made in Japan. The Miyabi Birchwood 7 in. 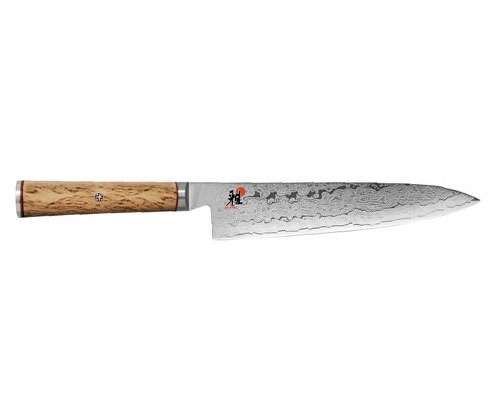 (180mm) Rocking Santoku is a modern Japanese knife for chopping, mincing and slicing vegetables. 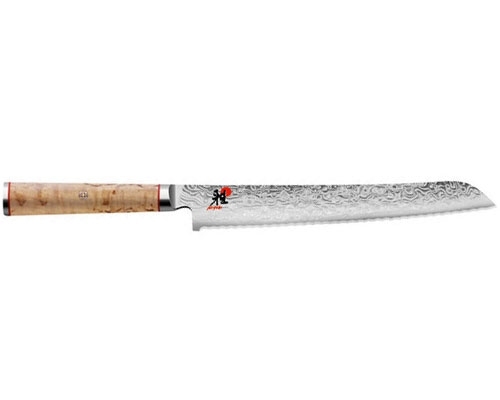 The special feature of the Rocking Santoku is its thin blade with a kiritsuke shaped edge. Extremely versatile, can even be used for decorating purposes. Hand wash only. Made in Japan. Miyabi Birchwood 6.5 in. 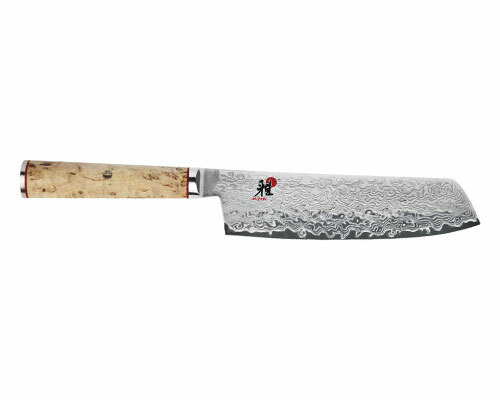 Nakiri is ideal for cutting and chopping vegetables. The Miyabi Birchwood 9 in. Honing Rod is a great addition to your Miyabi Birchwood collection. Maintain your knife's sharp edge by using a honing steel on a regular basis. A honing steel doesn't sharpening your knives, it re-aligns the edge of the knife blade. Hand wash only. Made in Japan.